2012 - What Do You Mean the 3rd Dimension Is Going Away? Dimensions are not places or locations, and they are not a linear progression - 3, 4, 5, 6 - stacked up like pancakes. And the 3rd dimension, or the 4th dimension, is not the chair you’re sitting in, or the walls that surround you, or even the Earth itself. That is form, which exists predominantly in the 3rd and 4th dimensions, and which will still be very much part of the play in the 4th dimension when the 3rd dimension is no longer an option. 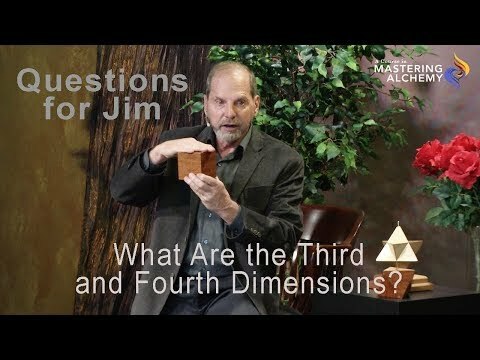 The third dimension (3D) is a box of rigid beliefs, more or less, with a relatively inflexible set of rules and limitations. Most of us have been playing this game for lifetimes, so we tend to think it is the only game available to us. But nothing could be further from the truth. One of the rigid 3D beliefs that structure our lives – our thinking and feeling and actions - is linear time. Linear time is an optional belief and structure that let’s us “live” an experience of past and a future... and then we die. Because this belief is the default assumption of mass 3D consciousness, and events seem to validate the belief, most of us think and act as if it’s true. As I mentioned, 4D is the 'right now' of 'present time.' But present time actually has four different levels. Instead of focusing on what we want, and allowing this to unfold over time, we spew anger, frustration, boredom, worry, anxiety, blame, guilt, fear - all kinds of lower, disharmonic thoughts and feelings. We behave as if we can think and feel anything with impunity because we do not see the instantaneous results of our thinking. However, as these lesser thoughts and feelings are cleared, they will come into our awareness, and magnetize people and circumstances to us that mirror these chaotic energies. How do you handle these often-powerful energies when they appear. You allow them. If you can simply observe them with a sense of detachment as they come up – knowing that they are just coming up to be cleared - they will clear quickly, and you won’t even remember what the fuss was all about. Remember most often what comes up is not even yours; it does not belong to you. Acknowledge it and know that it’s coming up to be cleared… forever. Take a couple of deep breaths, go for a walk, listen to music -- but turn your attention point to something of a higher vibration. So much of the magnetic field we walk around in - I’m not OK, You’re not OK - has very little to do with who we really are. It’s just the magnetism of one heavy, unconscious thought attaching itself to the magnetism of similar heavy, unconscious thoughts. Each of us is 100 percent in charge of the process. 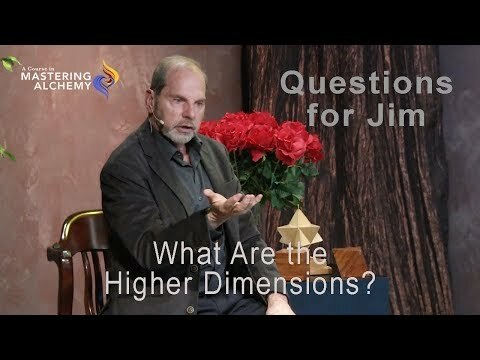 The more weight - lower-vibrational patterns of words, thoughts, and emotions - we remove, the higher we rise into the expansive experience of the higher 4th dimension. Here, it is as if we look past the boundaries and limitations, which were always just a habit of observation in 3D. It’s a wider view, a calmer view, and a quieter view. In the upper 4th dimension, you can choose fear or worry, and drop into the lower 4th dimension… but you won’t. As you begin to align with the heart, very naturally - ‘I Like Me’ - you’re going to find there’s no reason or compulsion to choose an uncomfortable attention point in the lower 4th dimension. It comes naturally and readily because it is the language and vibration of you’re natural well being - if you let it, and if you focus upon it. In other words, it’s to your benefit to practice and integrate the ability to choose the contents of your consciousness right now, before it really counts - and that moment is not very far away. Start by playing with the vibration of what I call Living Words. The Archangels very deliberately and precisely selected these words - words such as Certain, Capable, Commanding, Present, Senior, Graciousness and Happy - so that you can most easily clear all the unconscious vibrations from your space. Thank you so much for sharing this. I have read of the changes taking place and have been experiencing the changes, but NOW I understand it and feel very excited and grateful for these changes. After all, I have been praying for them all my life. Jim, Thank you so much. The explanation was perfect and the understanding is priceless. Much needed and much appreciated! Peace and love to you my friend! had a huge ah-ha moment reading this article. I think I am going to save it and keep it for a reminder. These truly are exciting present times! I've shared this post, in its entirety, with my FB community as I think you've explained this shift from the 3rd to 4th and 5th dimension so very eloquently. Thank you Jim, that was a great article, simple to understand but full of useful information that we all need right now to guiding us through this transition. It certainly helps to know the rules of the playground. Wonderful.